Newtown, Connecticut, is a showcase for post-suburban USA, combining a small-town rural atmosphere with cultural and social gentility. It is full of professionals who, when it comes to starting a family, have fled from Boston or New York for a slightly more affordable dream of space, safety and prosperity. But what lurks beneath the surface? To read the entire review, please visit Bookgeeks. I’d be delighted if you’d like to leave a comment about the review, either here or at Bookgeeks. I’m showing two covers of the book here: above is the UK edition (which I read); below is the US edition. I prefer the US cover by a long way. Bookgeeks is a comprehensive website for readers of all types of books. The reviews themselves are divided into categories, each with its own RSS feed: crime & thrillers; contemporary fiction; non-fiction; fantasy, SF & horror; historical fiction & classics; comic & graphic novels; and poetry & literary criticism. As well as reviews, the site features regular interviews, columns and competitions. Bookgeeks is part of something called the Bookswarm network, which among other things has a crime writing website called Bookdagger, providing news and features about crime fiction, as well as more competitions. The well-known crime-fiction author Martin Edwards writes Bookdagger’s monthly crime column, which is always worth reading. 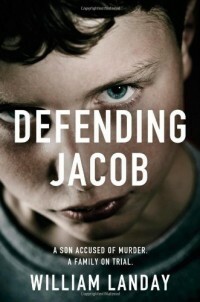 Bookgeeks: my review of Defending Jacob by William Landay. This entry was posted in Bookgeeks, Books, Reading by Maxine. Bookmark the permalink. Thanks for the links to Bookgeeks and Bookdagger. I couldn’t leave a comment over there (Blackberry/form issues), but Defending Jacob sounds excellent. I like small-town American settings, and the implication of a child in a crime is a great way to get the protagonist involved on a personal level. One of these days someone will invent a universal standard for commenting systems, Rich! Thanks for the comment – I really enjoyed this book. Go Maxine! Great review! 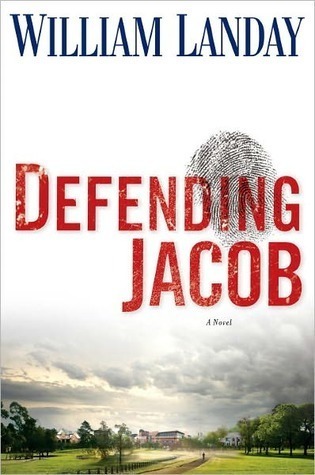 Defending Jacob is going on my soon TBR mountain range, but high up. This book is on the New York Times bestseller list so I imagine my library will have it available. And I am — and have been since teenagehood–a fan of good legal thrillers. Since you compare it favorably with Presumed Innocent, I’m eager to read it. Maxine – Thanks for the helpful information about Bookgeeks. I’m on my way there now to read your review. I read your review and loved reading it. Excellent job Maxine. I don’t mind repeating that I think Landay is very talented writer. Thanks, everyone. Not much to add, really, except that I’ll probably try Mission Flats at some point, though it’s on a very different topic. Maxine: I enjoyed looking at the review. I more skimmed it as I think I may read the book. I was not impressed with a jurisdiction that says murder cannot be pled out. I believe more injustices happen with compulsory proceedings and mandatory sentences than when there is discretion to fit the right charge and punishment to the circumstances of the crime. Another day I may discuss a Saskatchewan case on the problems with legislated minimum sentences. I’ll look forward to that, Bill. This ruling is what has given Andy his reputation, in his past handling of such court cases, as he enjoys the trial combat. But as you say, it is not always appropriate I am sure. I have to say this book was on my “don’t bother” list based on the fact it is one of the few crime books that has made it to ‘shove it down people’s throats’ status here – i.e. front of floor displays in bookstores, featuring in all the emails from the publisher and bookstores, ‘reviews’ in local media and so on. I have an antipathy to heavily promoted books because they are often books I hate (lots of chick lit, sports bios and every utterance of bloody Peter Carey’s get this treatment) and I am naturally ornery as well and hate the feeling I am being manipulated into what to read and I feel sorry for all the books that get no promotion at all (there is not, for example, a single bookstore or other outlet in Oz that sends out a list of EVERY book being published in a given month – you can get individual newsletters from the big publishers but bookstore newsletters all promote the same few books and it irritates me no end – the work I have to do to find out about new Aussie crime fiction is ridiculous) (clearly none of this is your fault but I have my rant pants on this morning) (I don’t actually have pants especially for ranting but one of my staff coined the phrase and it has stuck). But as you have reviewed it so positively I will add it to the wishlist though will wait until they hype has died down. Congratulations on being a reviewer for Bookgeeks – they couldn’t find better. Great rant, Bernadette! The last “heavily promoted” book I read was that one by Marcia Clark which was OK but not brilliant. This book is very well-written which is a refreshing change. I am not aware that it has been publicised much in the UK in the way you describe, but as we have so few bookshops in the UK now (only one in the town where I live) it is hard to tell. Anyway, if you don’t mind legal thrillers, this could be one to make an exception to your rule for.